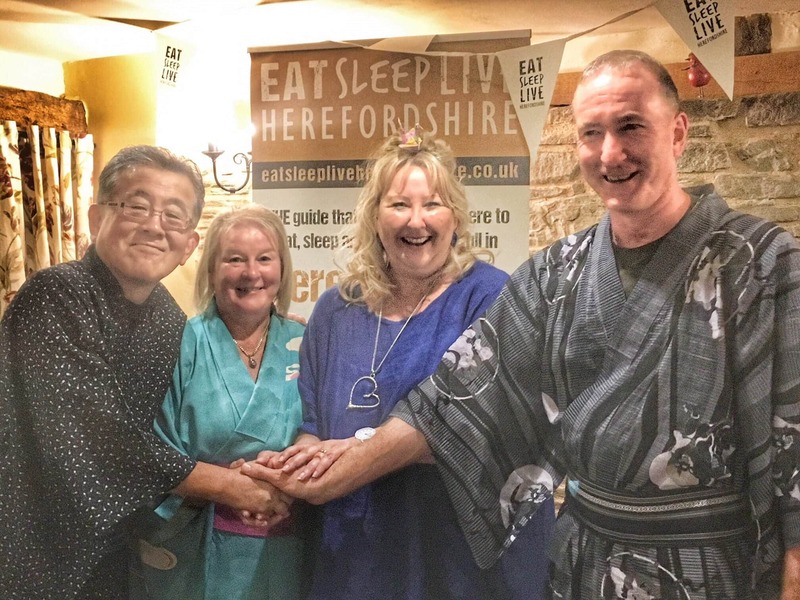 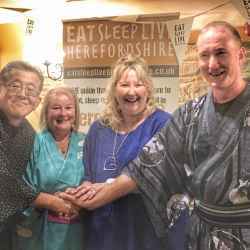 Team ESL was incredibly proud to welcome the return visit of Professor Shinji Aoki, Professor of Green Tourism for Tokyo University, to Herefordshire, along with a cohort of 11 Japanese government officials and tourism ambassadors to develop international visitor relations. 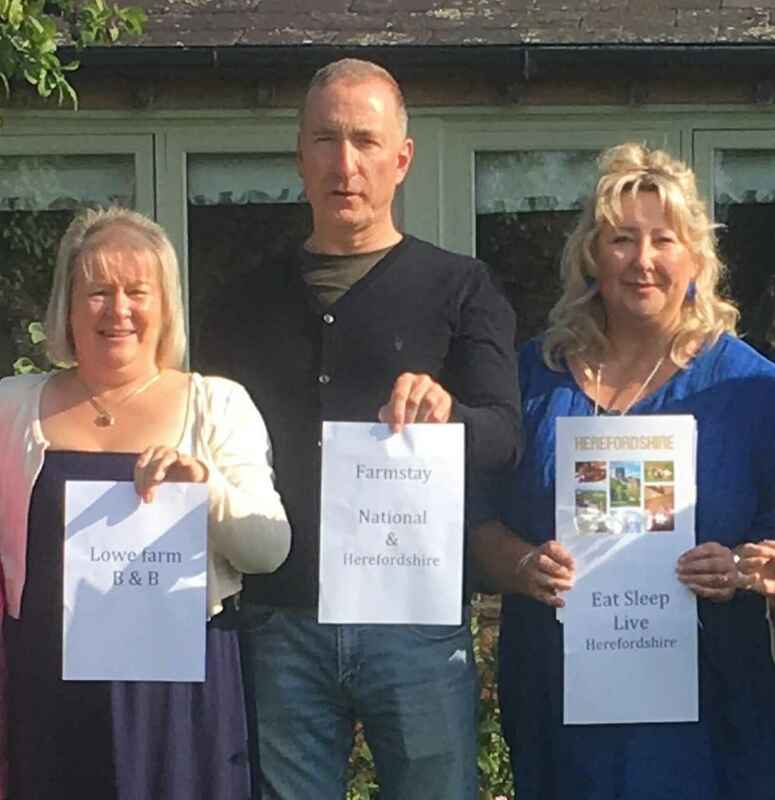 We were also delighted to engage Steven Harris, CEO of national rural accommodation organisation FarmStay UK, to further strengthen our national UK collaborations for Herefordshire. 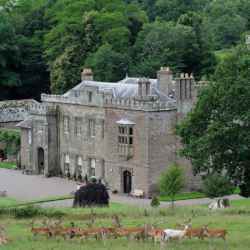 The Professor’s visit also researches sustainable green and rural tourism, and Herefordshire provides some of the best in Britain. 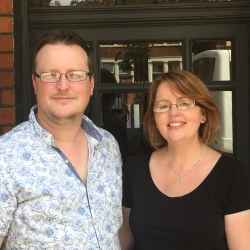 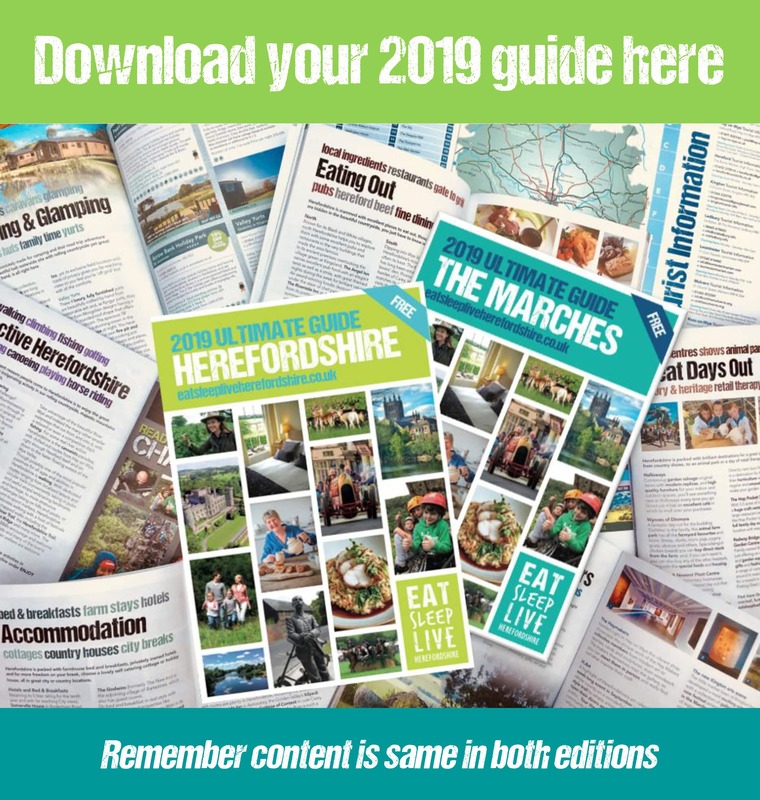 Staying at ESL Member Lowe Farm Bed & Breakfast in beautiful Pembridge, north Herefordshire, he has been learning from owner Juliet Williams, who’s business is now in its 20th year. 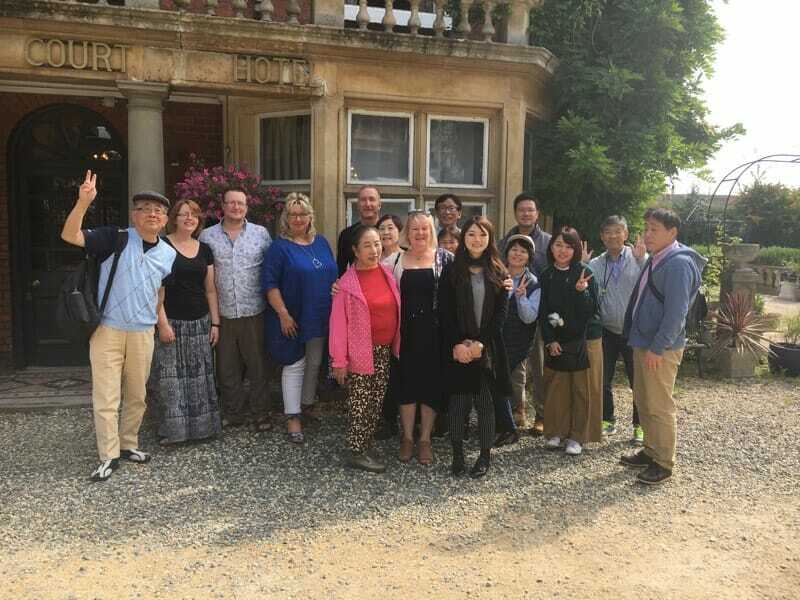 The Visit England 4 Star Gold Award property has achieved many awards of excellence, and Juliet has travelled to Japan to impart her wisdom to the developing rural tourism communities and regional symposiums. 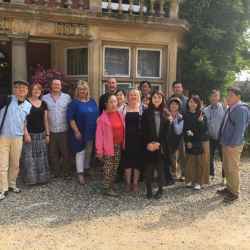 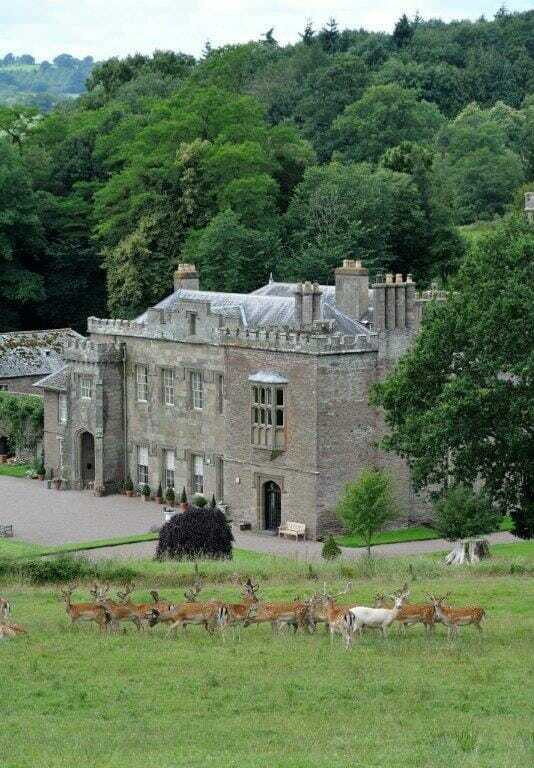 To enhance the party’s understanding of rural sustainability further, Team ESL arranged a bespoke tour of the county, taking in the history and heritage of fascinating Kentchurch Court. 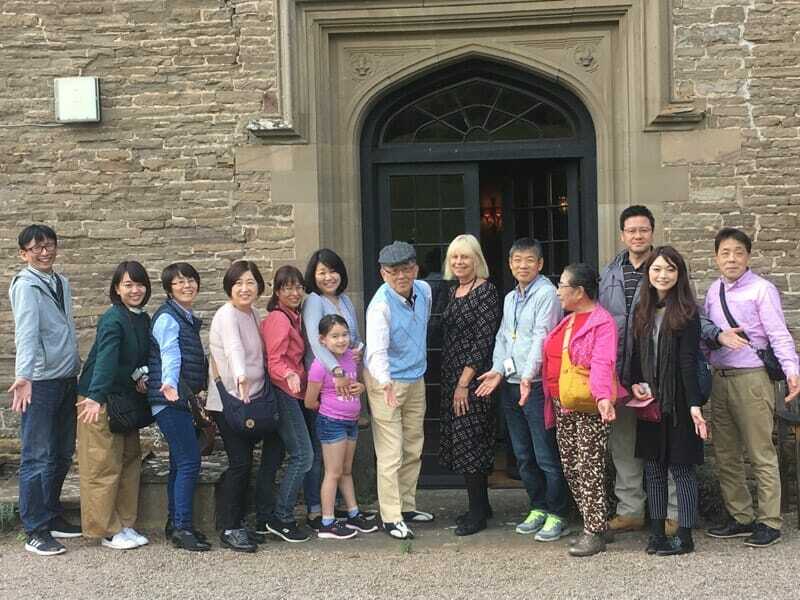 Owner, Jan Lucas-Scudamore, enthralled the group with a cultural tour of the house and gardens, seat of the Scudamore family for over 1000 years. 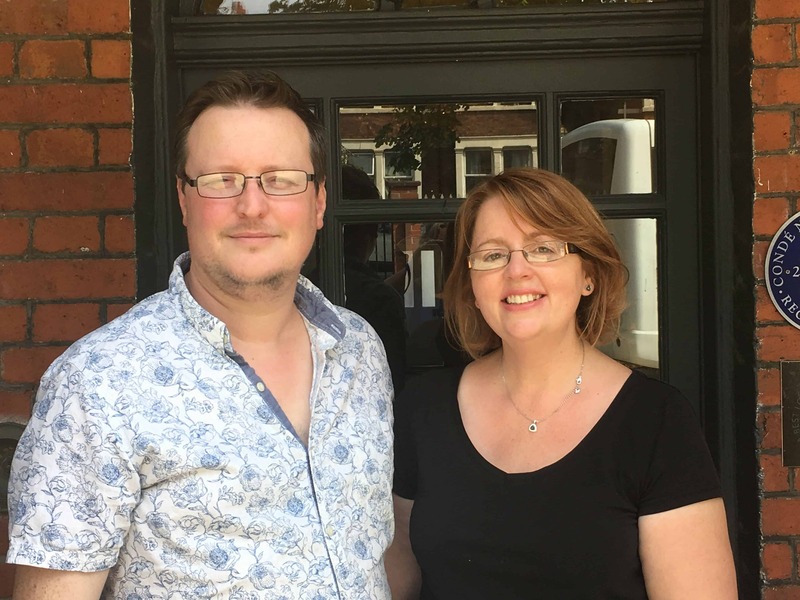 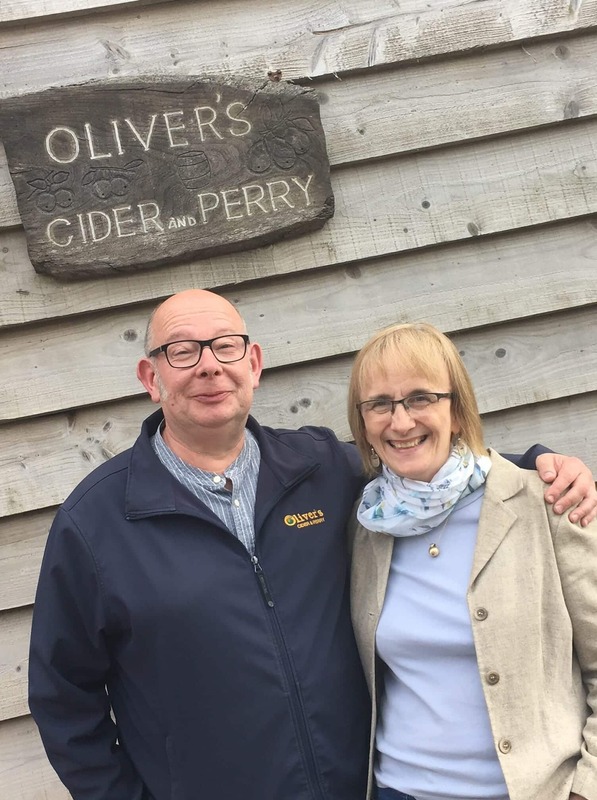 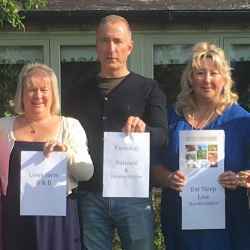 With a Scudamore ancestor having introduced the famous Red Streak cider apple to the region, it was the perfect link to celebrate Herefordshire’s cider heritage with the forthcoming seminal Cider and Perry Awards, to be held near Tokyo this September. 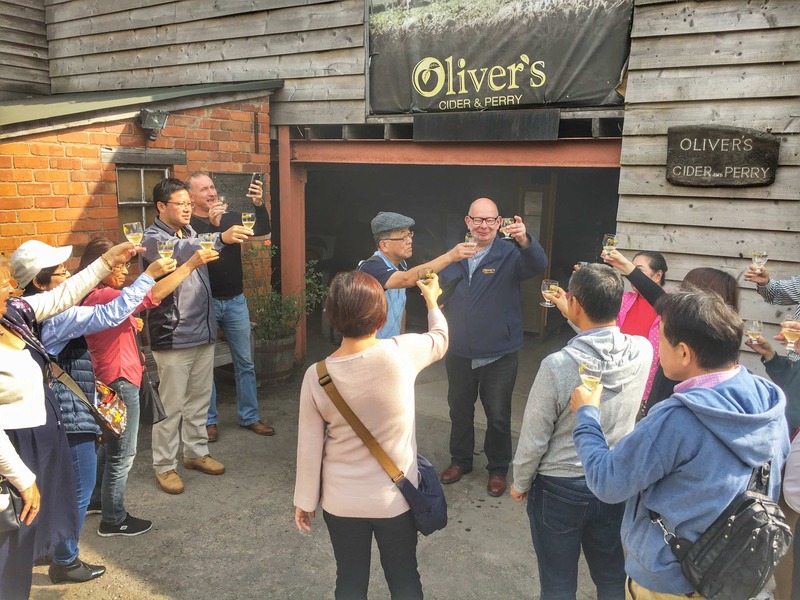 With the UK’s own Ciderologist, Gabe Cook, a frequent Herefordshire visitor, leading as Head Judge at the event, Professor Shinji was looking forward to the afternoon’s tour of artisan cider maker Tom Oliver’s farm to learn more. 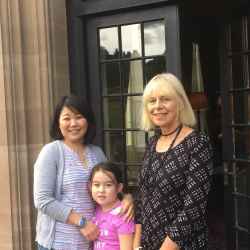 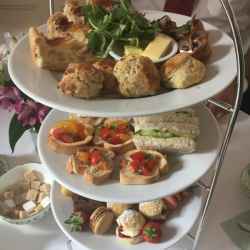 Stopping for lunch to enjoy a wonderfully prepared twist on an Afternoon Tea at Aylestone Court Hotel in Hereford City, the Japanese group delighted at the dainty miniature Yorkshire puddings with roast Herefordshire beef and other canape style savouries. 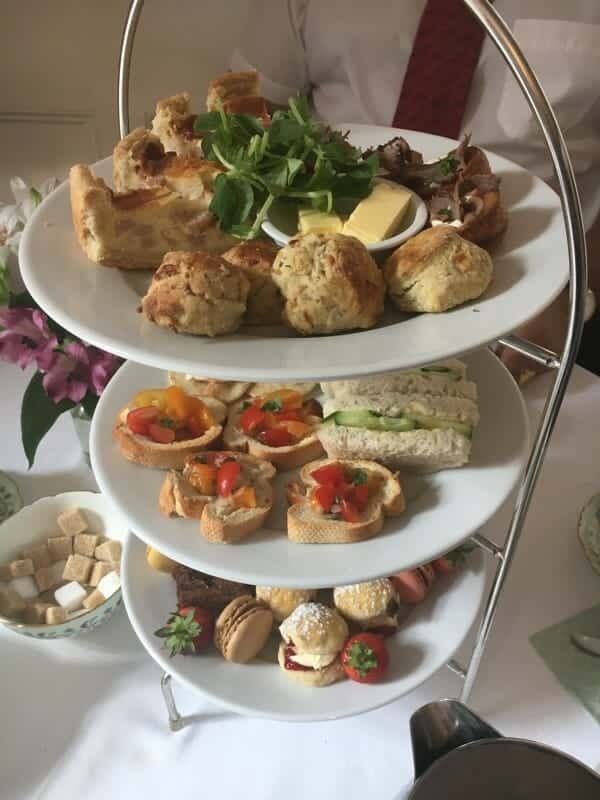 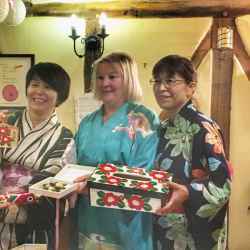 Finishing with expertly handmade mini sweet treats, including tiny cream scones and chocolate confections, Japan’s delicate palate met British tradition with Herefordshire style. 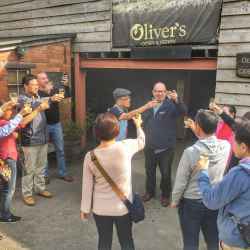 Then it was on to Ocle Pychard, near Bromyard, to Oliver’s Cider and Perry. 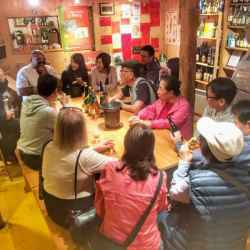 Susanna Forbes, neighbouring cider producer and food and drink writer, also joined the group to tell us about her new book on craft ciders The Cider Insider. 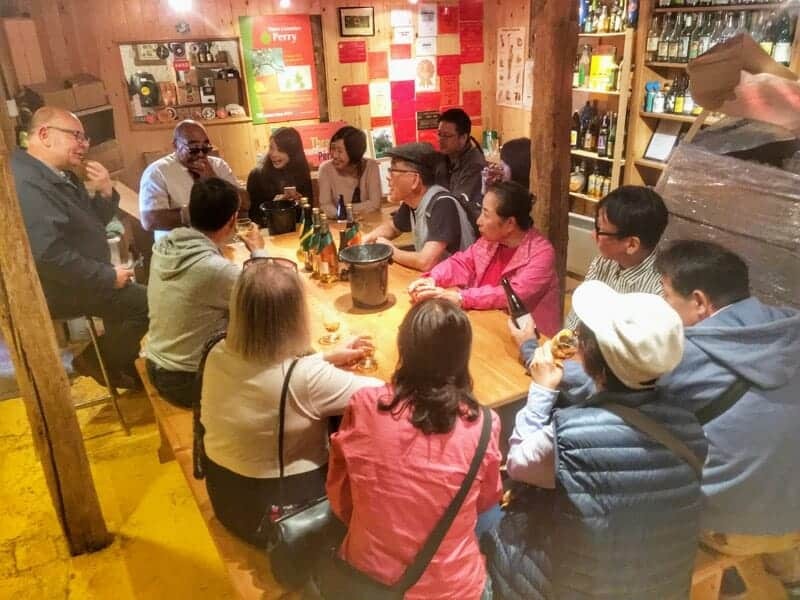 The tour and tasting of Tom’s operation and vast range of ciders, was a classic example of diversification to support his traditional cattle farm. 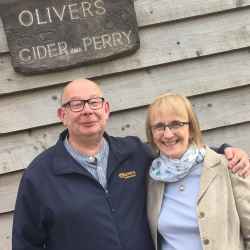 As a well-known ambassador for Herefordshire’s and indeed all cider making, Tom shared his expert knowledge during the tasting notes and the group left laden with purchases from the on-site shop. 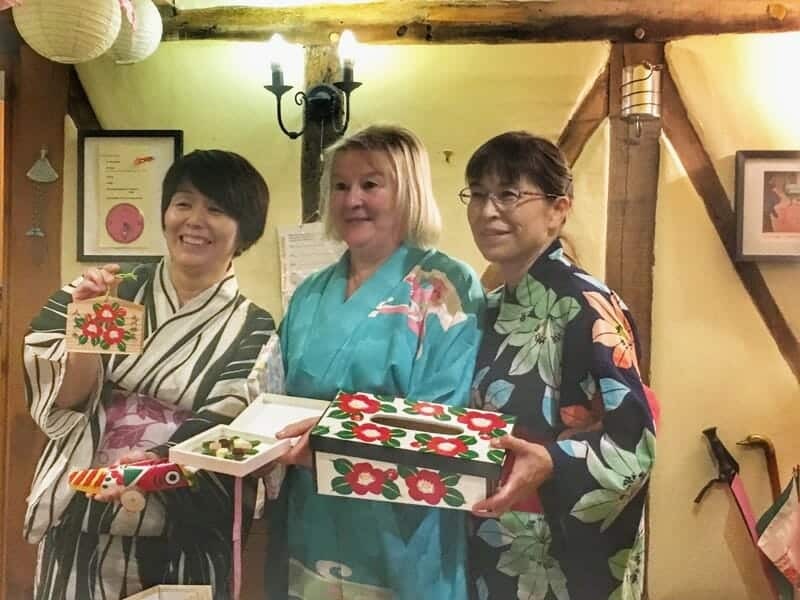 The evening was spent at Lowe Farm with a banquet of Japanese and British food, freshly prepared by the visitors and hosts in a wonderful cultural exchange of food, song and generosity of spirit. 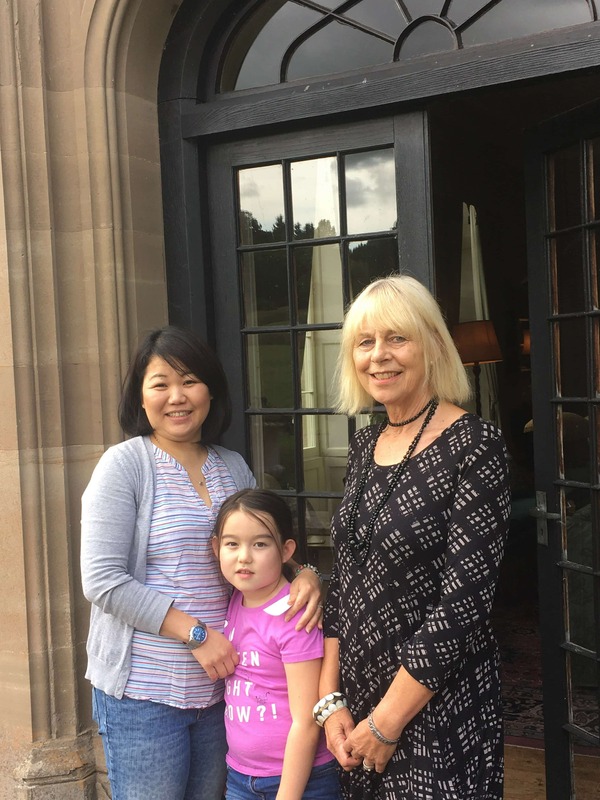 ESL is delighted to be working with international envoys in this way to develop Herefordshire’s identity and showcase the county’s amazing destinations. 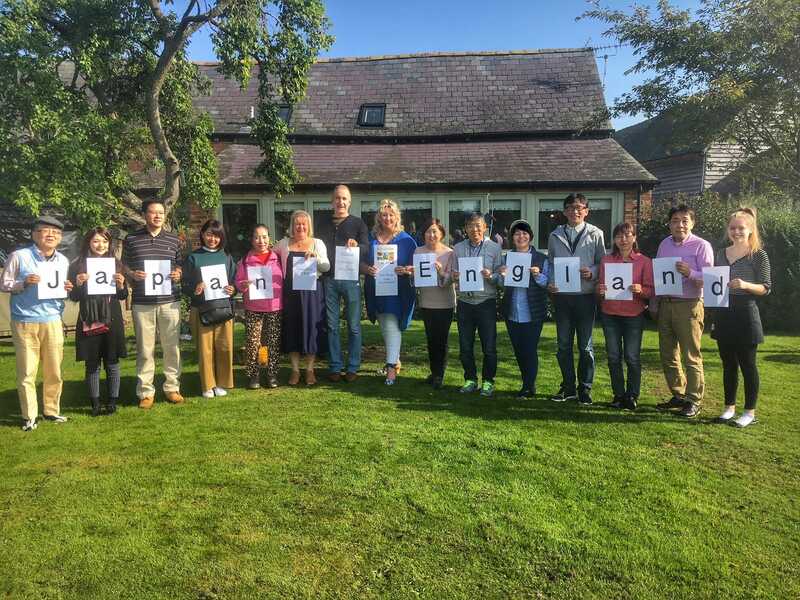 Thank you to all those involved who helped make it a wonderful experience that will be taken across the globe.